Full colour facsimile reprint of original War Office document, with new chronological index. The War Diaries for the Great War, held under WO95, represent one of the most popular record collections held at the National Archives, Kew, London. For researchers and family historians, the War Diaries contain a wealth of information of far greater interest than the army could ever have predicted. They provide unrivalled insight into daily events on the front line and are packed with fascinating detail. They contain no modern editing, opinions or poorly judged comments, just the war day by day, written by the men who fought this ‘War to end all Wars. They are without question, the most important source of information available on the war on the Western Front. Full colour facsimile of each page with specially created chronological index. What is a War Diary? The headquarters of each unit and formation of the British Army in the field was ordered to maintain a record of its location, movements and activities. For the most part, these details were recorded on a standard army form headed ‘War diary or intelligence summary’. What details are given? Details given vary greatly, depending on the nature of the unit, what it was doing and, to some extent, the style of the man writing it. The entries vary from very simple and repetitive statements like ‘Training’ up to many pages of description when a unit was in battle. Production of the diary was the responsibility of the Adjutant of the headquarters concerned. Is there any other information or documents with the diaries? 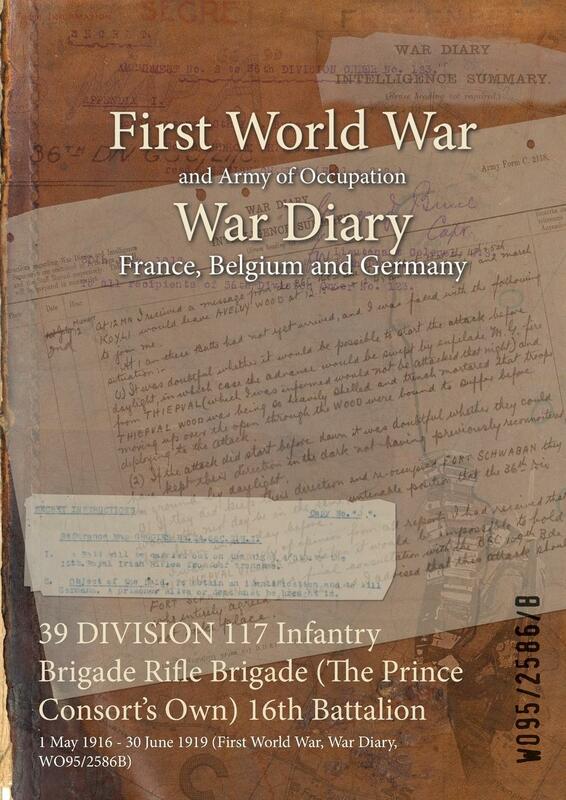 Some diaries have other documentation attached, such as maps, operational orders and after-action reports. 2016 N&M Press full colour facsimile reprint of original War Office document, with new chronological index. SB, 606 pages.